Early spring is considered to be the ideal time to plant trees in the Sandhills of North Carolina. If you’ll be welcoming the new season by planting a tree, there are several factors to consider. IS THE TREE A NATIVE SPECIES? A native tree is adapted to the climate in which it traditionally grows, so it requires less maintenance, and it is more resistant to disease and drought. In addition, a native tree prevents pollution and erosion, improves air quality and supports natural habitat. Species that are native to the Sandhills of North Carolina include American holly, Southern live oak, Southern magnolia, longleaf pine, Eastern redbud and dogwood. Consider your planting space and the height of your tree when it reaches full maturity. Taller trees will require more planting space than shorter trees. WHAT IS THE TREE’S CANOPY SPREAD? The canopy spread is the width of your tree when it reaches full maturity. Wide trees will require more planting space than narrow trees. WHAT IS THE TREE’S SHAPE? According to the Arbor Day Foundation, a tree is generally classified into one of five distinct shapes, based on the height and width of its canopy: v-shaped, round, oval, columnar or pyramidal. A dogwood, for instance, is considered to be a round tree. A longleaf pine is considered to be an oval tree, and an American holly is considered to be a pyramidal tree. Consider your desired aesthetic and planting space when selecting a tree based on its shape. WHAT IS THE GROWTH RATE OF THE TREE? The growth rate indicates the amount of time required for your tree to reach its full, mature height. Some species can reach their full heights in only a few years while other species reach their full heights in many decades. Slow-growing trees tend to live longer than fast-growing trees and are less susceptible to disease. Deciduous trees usually provide stunning seasonal arrays, but they lose their leaves in autumn and are bare in winter. Many species of elm, aspen, maple, birch and oak (with the exception of live oaks) are deciduous. Evergreens bear needles or leaves in all four seasons. Many evergreens are also coniferous and will produce cones that fall throughout the year. Southern live oak, American holly and many species of pine, cypress and fir are evergreen. When selecting a tree, consider its fruit-bearing or flower-bearing capabilities as well. WHAT ARE THE SOIL, SUN AND MOISTURE NEEDS OF THE TREE? Some trees prefer sandy soil, while others prefer loamy soil. Some trees need shade, while others need full sun. Some trees grow best in acidic soil, while others grow best in alkaline soil. Some trees thrive in moist conditions, while other trees thrive in arid conditions. Choose a tree that is suited to the environmental conditions around your home for a successful planting experience. HOW IS THE TREE SUITED TO YOUR HARDINESS ZONE? -10 degrees Fahrenheit) in the western mountains to 8b (15 to 20 degrees Fahrenheit) on the coast. Select a tree that is suited to your area’s Hardiness Zone range for optimal results. See the Hardiness Zone Map here. WHAT IS THE PURPOSE OF YOUR TREE? Do you want to improve the natural aesthetics of your home? 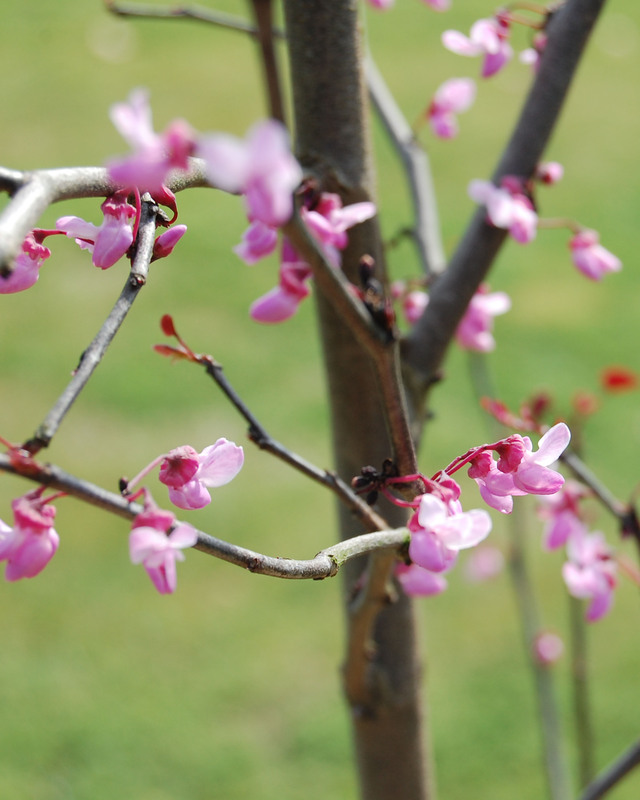 Then, you may consider a flowering tree, such as a dogwood or a redbud. Do you want to add a tree to your edible garden? Try a fruit-bearing tree, such as an apple or a fig. Do you want to use the trees to conserve energy? Deciduous trees planted on the east and west sides of your home can provide shade, while evergreens planted on the north and south sides of your home can provide wind breaks. Consider how your trees will enhance your property and fit into the existing landscape. In addition, consider factors such as atmospheric conditions, community covenants and the locations of structures, utility lines, sidewalks and foundations when you choose and plant your tree. well-being of this and future generations.